FINISH: Another deceptively simple looking finish for one of Adeline's creations. 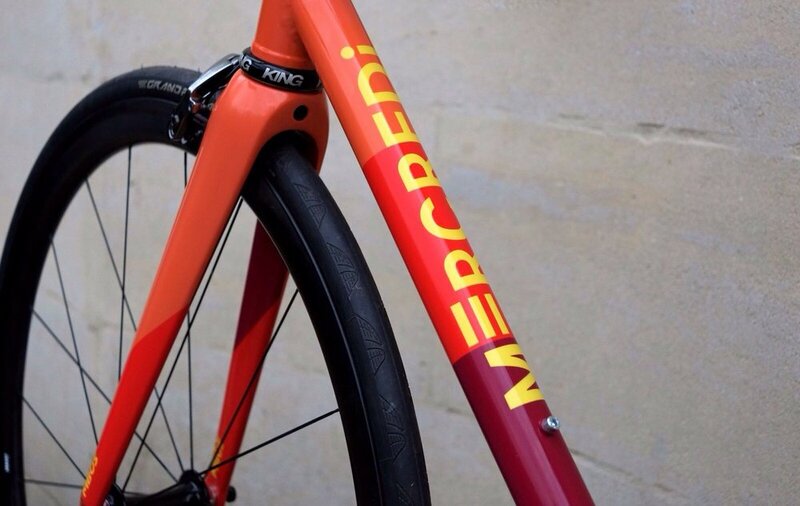 You probably already know by now that Mercredi bikes are all about fun... sure, they're race machines and you'll see them on podiums across Europe but at their core, they're fun. 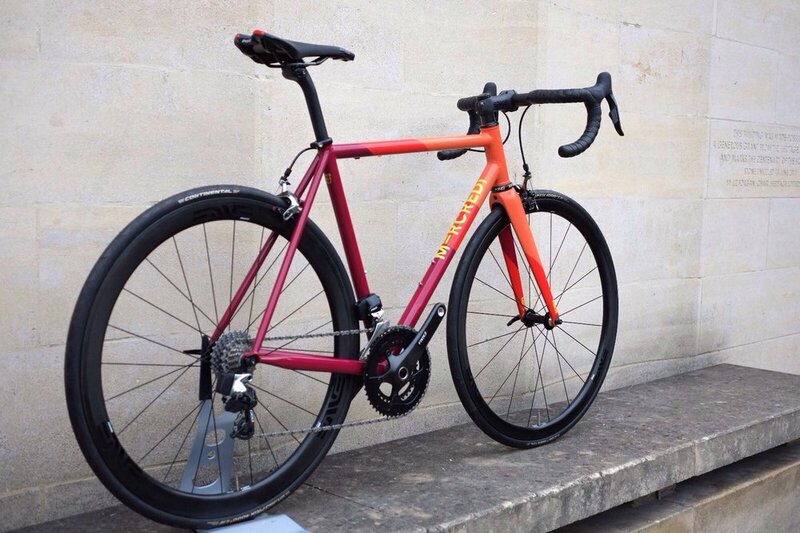 One standard Mercredi design option is to have three, solid block colours dissecting the bike, each division matched perfectly across the tubes and continued into the fork. The three RAL colours chosen for this finish were inspired by David Hockney's 'A Bigger Grand Canyon'. The Mercredi and Columbus branding is picked out in a fourth RAL reference.